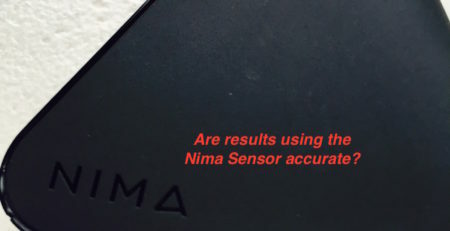 Bottom line: Gluten Free Watchdog has personally tested many products using the Nima Sensor. 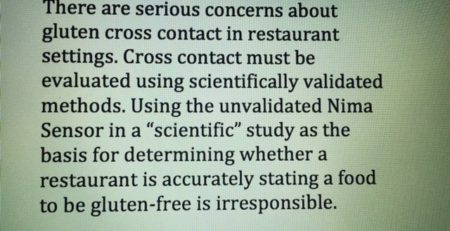 One of the issues slowly emerging is what appear to be false positives (e.g., defined by Gluten Free Watchdog as products testing “low gluten” when tested with the Nima but less than 1 ppm when tested with the R5 ELISA) when testing certain types of samples. The gluten-free foods (and products free of gluten-containing ingredients) testing “low gluten” using the Nima have similar ingredients and consistencies. 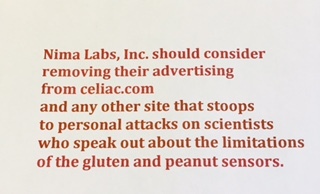 Note: ALL products personally tested by Gluten Free Watchdog labeled gluten-free or appearing to be free of gluten containing ingredients testing “low gluten” using the Nima have been sent to the lab Bia Diagnostics for follow-up testing using the R5 ELISA Mendez Method*. All of these products have tested below the limit of quantification of 5 parts per million gluten and all but one of these products have tested below the limit of detection for gluten of 1 part per million. Might these particular products have a very low limit of gluten detection when tested using the Nima? Maybe but not likely IF (and this is a very important if) the information from the Nima team is accurate. All but one of these particular products are testing below the limit of detection when tested using the R5 ELISA. This ELISA has a limit of detection (depending on the matrix) of 1 part per million of gluten. If this is accurate information (and we should know once a validation report is published), then there is something else going on with this device other than a very low limit of detection. 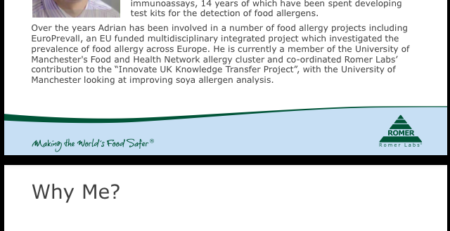 Given that the ingredients in these products are similar, might there be cross-reactivity between a particular ingredient and the antibody used by the sensor? All of the products testing “low gluten” using Nima and less than 1 ppm using the R5 contain either peanuts or almonds. But peanut butter tested “smiley face” when tested using the Nima. Other protein products such as raw chicken also tested “smiley face” suggesting that this is likely not a protein issue. 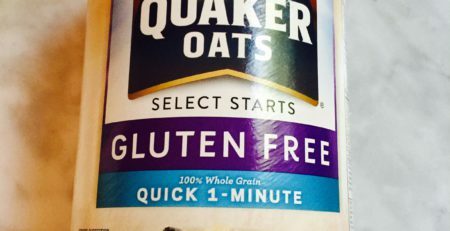 Might the consistency of the product result in a low gluten reading? As mentioned, the consistency of products testing low gluten is similar (see photo). All but one product are relatively homogeneous, “sticky” rather than crumbly—similar to children’s modeling clay. (Note: The crumbly, more heterogeneous product tested BLQ versus BLD). It has been suggested by a food-testing expert that the low gluten results may be due to a flow issue. 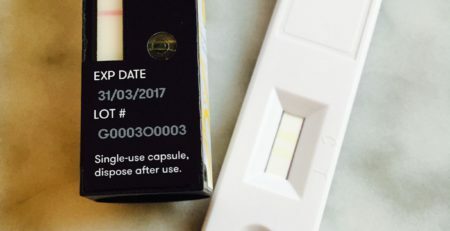 If the consistency of the extraction is such that it causes slow movement up the test strip this could lead to a false positive reading. This is just a theory and it may not be correct. And last but not least, might it be the case that there is no rhyme or reason to the results and all of the above speculation is simply wrong? Maybe this device simply doesn’t work the way the creators had hoped. 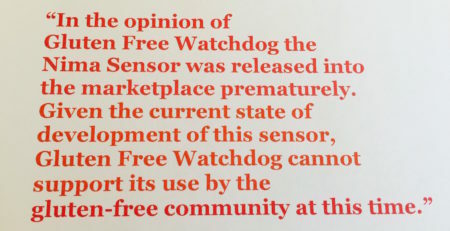 It is no secret how Gluten Free Watchdog feels about consumer lateral flow devices to test for gluten (you can read more about this at https://www.glutenfreewatchdog.org/news/lateral-flow-devices-nima-gluten-tox-home-ez-gluten-to-test-food-for-gluten-manufacturer-consumer-use/). 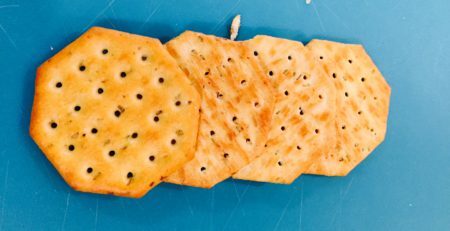 Regardless, It is hoped that Gluten Free Watchdog’s investigation of the Nima Sensor helps uncover problems that can be addressed and fixed by the Nima team. The more (and quicker) this product can be improved the better. Those of you using a Nima: Gluten Free Watchdog is very interested in learning about the foods you are testing that are resulting in a “low gluten” reading. Sharing this information may help us determine what is causing possible false positive low gluten results for some products. Note: We are aware that the Nima team is updating “low/high gluten” readings with “gluten found.” Nevertheless, we are interested in hearing about your testing experiences prior to the update (For a variety of reasons, Gluten Free Watchdog’s devices are not synced to the app). The FDA has since stated that it will use the R5 ELISA Mendez Method as one of two methods when necessary for assessing compliance to the gluten-free labeling rule. I tested Nuts to You Nut Butter tahini, it is labelled gluten free. My NIMA detected ‘low gluten’ presence. Interesting, Madeline. Thanks for letting me know. Many thanks to you, Tricia, for keeping those of us in the GF community informed. This is such important work you’re doing here. I am dismayed to hear of these results and saddened that we haven’t heard much from the Nima team. Folks using these devices would be well served to read this data and consider it carefully before heading to a public group and declaring a previously felt “safe” product to be unsafe. I have seen this repeatedly, with many companies then receiving and unfair trial and condemnation when, indeed, they are attempting to do right by the GF community. Disheartening. If it tests high gluten, I can have confidence there is gluten in the sample, but low gluten tells me it could be a false positive. 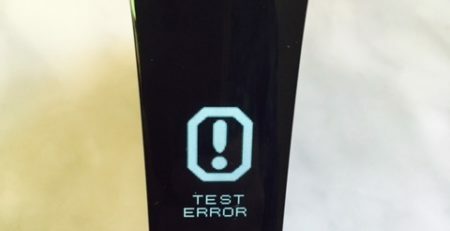 Now there will be no way to tell after the firmware update. Updating is not required from what I understand. We will not be updating our devices. And I agree with you. Based on testing done to date, a high gluten reading does indeed appear to mean gluten is in the sample. I have had “low gluten” found in a baked good from a non-dedicated place (logical) and at a thai restaurant. The thai restaurant baffled me because the place is very careful, does steamed tofu so no fryer cross-contamination, separate woks, etc. The biggest risk is the sauces, but according to Nima, that wouldn’t be picked up. I think the biggest weakness of the Nima team has been their disclosures and descriptions of gluten found. First they said Nima wouldn’t detect under 20 ppm, then gave overlapping ranges for the smile and low gluten, indicating that between 5 and 20 ppm could test as either, then most recently they did a blog saying that the Nima will pick up any gluten so certified gluten free items may come back as gluten found if they contain under 20 ppm. When Nima came out, my family was excited at the prospect we could better control our exposure to gluten. But my daughter’s TTG has been consistently elevated, despite our family being EXTREMELY careful about label-reading and cross-contamination, literally to the Nth degree. In an effort to try to find a cause of her contamination, we are testing a bunch of our commonly used foods, even some labeled gluten-free. Nima has come up with this “LOW GLUTEN” reading on a few surprising food items: Trader Joe’s organic canned pumpkin, FairLife low-fat chocolate milk, and Lipton Green tea (cranberry/pomegranate). I hope we can get to the “truth” regarding what is and what is not truly GF, but I am pretty frustrated about the state of our knowledge at the moment. Tested Root Cology Betain Pepsin digestive enzyme…2 times… with the NIMA, and came up with “Contains Gluten”. It’s labeled as Gluten Free isn’t cheap. Is it possible for there to be false positives with the digestive enzymes? I really want to know, and use the Betain Pepsin… but not if it contains gluten!